In October 2016, a select panel of esteemed judges from eight jurisdictions met in Singapore for the inaugural Judicial Insolvency Network (“JIN”) Conference. The judges were from Australia (Federal Court and New South Wales), the British Virgin Islands, Canada (Ontario), the Cayman Islands, England & Wales, Hong Kong (as an observer), Singapore and the US (Delaware and Southern District of New York). The Chief Justice of Bermuda participated by way of written submissions. It is envisaged that JIN conferences will take place every two years in various jurisdictions. The conference culminated in the preparation of draft guidelines (the “Guidelines”) to provide practical assistance for Judges and insolvency practitioners alike in dealing with difficult issues that are prevalent in cross-border insolvencies and restructurings. The JIN will provide a platform for sustained and continuous engagement among Judges from multi-jurisdictional insolvency courts; where they can consolidate shared experiences, exchange ideas and develop best practices. 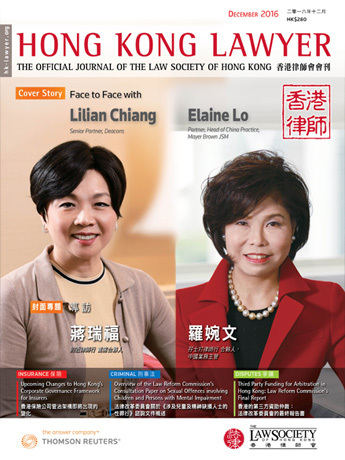 To set the scene for why the JIN Conference and the Guidelines that followed are so important and interesting for Hong Kong, one need only look at recent Hong Kong court business. 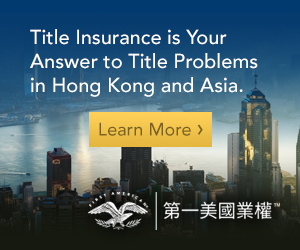 Hong Kong is probably Asia’s busiest insolvency and restructuring court with a significant amount of the court’s restructuring business involving BVI, Cayman Islands and Bermuda debtors (and less relevantly, creditors too). There is no other court in the world that has been called upon to determine cutting edge questions as to the parameters of “common law assistance” with such regularity and with such profound commercial consequences. 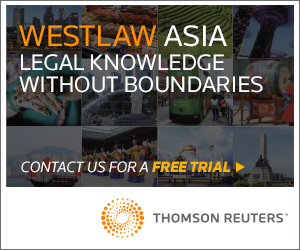 As a regional centre for restructuring, the case law that has developed in the Hong Kong court using common law assistance in insolvency proceedings, is modern, practical and frankly cutting edge (see A Co v B  4 HKLRD 374; Re Sinoking Holdings Limited (HCMP 2080/2014); Re Centaur Litigation SPC (HCMP 3389/2015); Bay Capital Asia Fund, LP (HCMP 3104/2015). These cases are an important counter-balance to the absence of the adoption of the UNCITRAL Model Law on Cross Border Insolvency in Hong Kong. As an aside the UNCITRAL Model Law has equally not been adopted in the BVI, Cayman Islands or Bermuda and therefore the courts of those places have similar responsibilities. The concept of common law assistance was re-affirmed by the UK Supreme Court in Singularis Holdings Ltd v PricewaterhouseCoopers  UKPC 36 following the rediscovered Transvaal case of In re African Farms  TS 373, where Sir James Rose Innes recognised an English winding up by ordering what amounted to an ancillary liquidation in the Transvaal of the assets of the company. The concept has been rightly and boldly embraced by the Hong Kong court and is clearly still developing. The traffic is largely that of liquidators appointed by the courts of the BVI, Cayman Islands or Bermuda seeking common law assistance in the Hong Kong courts. The Hong Kong courts also have a brisk business in common law parallel schemes of arrangement involving an offshore court (where the debtor is incorporated), the Hong Kong court (whose law will govern certain debt), and not unusually, also a US court. participating in two-way communications with the other court. A court may direct that notice be given to parties in proceedings in another jurisdiction and a court may authorise a party, or an appropriate person, to appear before and be heard by a foreign court, subject to approval of the foreign court to such appearance. 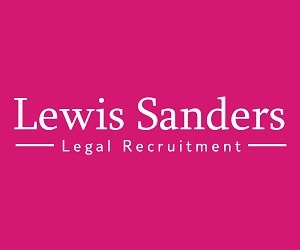 If permitted by its law, a court may authorise a party to a foreign proceeding, or an appropriate person, to appear and be heard by it without becoming subject to its jurisdiction. The ultimate outcome of the Guidelines will be to drive efficiencies and transparency into cross-border insolvency proceedings which, in turn, will reduce costs for the parties. Importantly, the Guidelines – once settled – are not proposed to be implemented as a code which must be obsequiously followed. Rather they will be introduced as practice directions or commercial guides, thereby retaining sufficient flexibility to allow tailoring to the facts of any given fact scenario. It is intended that the Guidelines should be considered at the earliest practicable opportunity during cross-border proceedings relating to insolvency or adjustment of debt opened in more than one jurisdiction (“Parallel Proceedings”). It is envisaged that where a court intends to apply the Guidelines in particular Parallel Proceedings, it will need to do so by a procedural Protocol or order (which should promote the efficient, cost effective and timely administration of Parallel Proceedings), following an application by the parties or pursuant to a direction of the court if the court has the power to do so. Such Protocol or order should address the coordination of requests for court approvals of related decisions and actions when required and communication with creditors and other parties. The Guidelines are not intended to interfere with, or derogate from, the jurisdiction or the exercise of jurisdiction by a court in any proceedings including its authority or supervision over an administrator in those proceedings and are intended to complement the rules and ethical principles by which an administrator is bound according to any applicable law and professional standards. The Guidelines are not expected to prevent a court from refusing to take an action that would be manifestly contrary to the public policy of the jurisdiction; or confer or change jurisdiction, alter substantive rights, interfere with any function or duty arising out of any applicable law, or encroach upon any applicable law. In the interpretation of the Guidelines or any protocol or order under these Guidelines, due regard should be given to their international origin and to the need to promote good faith and uniformity in their application. The Guidelines are not exhaustive and every case will require special consideration depending on the individual factual matrix. The recognition and enforcement of foreign insolvency judgments, as well as the use of alternative dispute resolution tools such as mediation and arbitration in cross-border restructuring will continue to be implemented, where appropriate. The Guidelines are presently being considered in the respective jurisdictions and local rules will dictate to what extent the Guidelines are formally adopted. Use of the common sense enshrined in the Guidelines can only be a good thing for the unique “offshore to Hong Kong dynamic” in co-operative, modern, restructuring processes.